We are so happy to have you visit us at Technology for Tender Hearts! Here is a bit of info about Evelyn to help you get to know her. Evelyn’s first computer was an IBM-PC, back in the days before they came with a hard drive! She has been working with computers and technology since then. She worked for over a decade as a software design engineer, and even while pursuing her journey down the "right brain" path, has continually provided tech support as a sideline. She went from being a software engineer, to spending 12 years caring for three elderly parents as they became ill and passed. She wore a lot of hats, studied everything from archetypes with Caroline Myss to massage, to Human Design and owned a few businesses from then until now. It has been a synchronistic and intuitive journey of personal development that brought her to this meeting with you. During her over 30 years of experience, she has enjoyed learning each of the technology waves that have come into popularity. Combining that with her love for teaching, being a body worker, and patient nature – it makes the perfect combination to provide a nurturing, body-aware method for helping her clients release their anxiety while they are traveling down the path that will help them bring their creative ideas to the on-line world. Evelyn is a Heart-Based Entrepreneur herself. So she understands what you need for your business. She has studied with some of the best internet marketers. She has studied Email Marketing, Amazon Sales, Business Coaching, and many other subjects related to being in business in the internet age. She has taught WordPress at an adult education school. 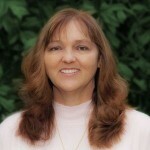 She has worked with many clients with a variety of businesses and needs. She is sure to understand where you are coming from. She can speak your language and, as a healer herself, understands the efforts some of you have made to try and bring your gifts to others. If you have any questions about Evelyn, and/or her services - please use one of the methods on her Contact Page to let us know.